Nestled in the foothills north of the Great Stupa of Boudhanath, the quiet, secluded serenity of Pullahari is ideal for cultivating deeper insight into the Buddhadharma through listening, reflection, and meditation. 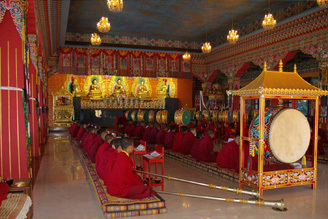 Monks engage intensively in prayers, scriptures, rituals, and dedications for temporal benefit of beings and ultimate realisation. Those in the 3-year retreat train in the ancient contemplative tradition of the Mahamudra Lineage to become Lamas. In 1986, the Third Jamgon Kongtrul Rinpoche accepted the offer of a piece of land by the Third Dilyak Dabzang Rinpoche (1929 – 1992) and agreed to his request to establish a 3-year Mahamudra retreat centre. He named the place “Pullahari” after Lord Naropa’s monastery in Bihar, India, where Naropa declared Lotsawa Marpa (1012 – 1097) his Dharma Heir in Tibet. There too, Naropa foresaw Milarepa’s (1040 – 1123) wondrous resolve for enlightenment, told Marpa that his spiritual lineage will continue through his disciples, and prophesied the coming of Lord Gampopa (1079 – 1153). 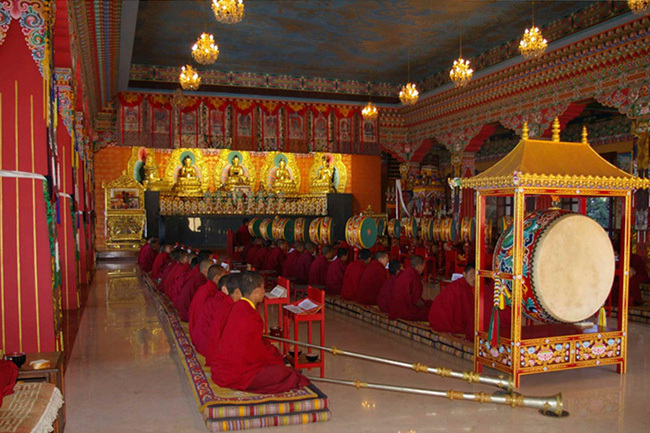 Pullahari Monastery opened in March 1992. The Third Jamgon Kongtrul Rinpoche consecrated the lineage shrine hall, appointed the site of the 3-year Mahamudra retreat centre, and made the decision to relocate the Rigpe Dorje Institute project to Pullahari from Sarnath, India, the originally intended location. He also gave instructions for the annual Rigpe Dorje programs and pointed to a site for a Tibetan Medical Centre. He advised Tenzin Dorjee, his General Secretary, to think not only of him but also the future incarnations when working for his projects and activities. As it came to be, the Third Jamgon Rinpoche dissolved his mind into the sphere of Dharmakaya on April 26th, 1992. On November 16th, 1992, the sacred body relic of the Third Jamgon Kongtrul Rinpoche was brought back from Rumtek Monastery to Pullahari. At the end of the ceremonies that day, The Very Ven. Khenpo Tsultrim Gyamtso Rinpoche began teaching the prayer of Calling the Guru from Afar which became the first in the series of teachings of the annual Rigpe Dorje program. 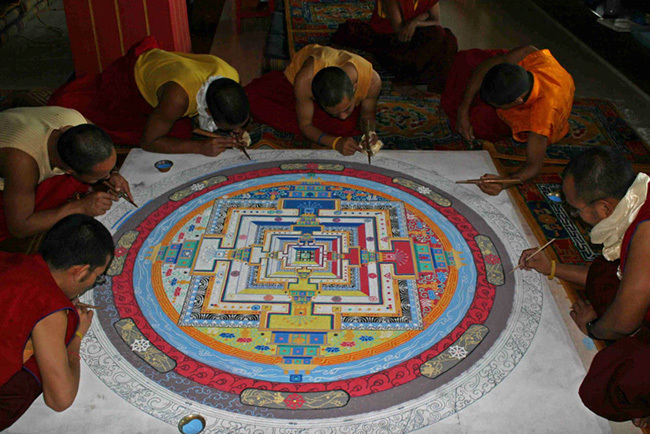 The first 3-year mahamudra retreat commenced in March 1994. 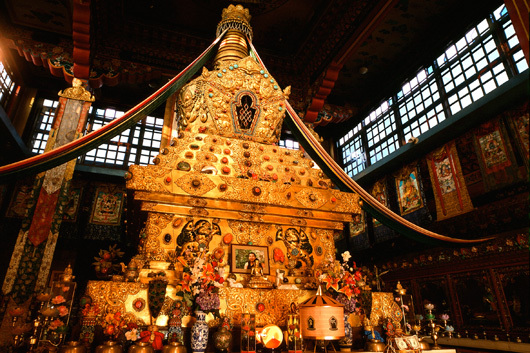 On April 26th that same year, the sacred body relic of the Third Jamgon Kongtrul Rinpoche was enshrined in a Golden Stupa which is the main object of reverence at Pullahari today. In 2000, through the generosity of Chodron Foundation (USA), work on the Rigpe Dorje Institute began. In 2001, even before the building was fully completed, the Rigpe Dorje Program classes were held there and also the annual free cataract clinic. Today, there are 250 monks in Pullahari Monastery, and 17 in the 7th three-year Mahamudra retreat.